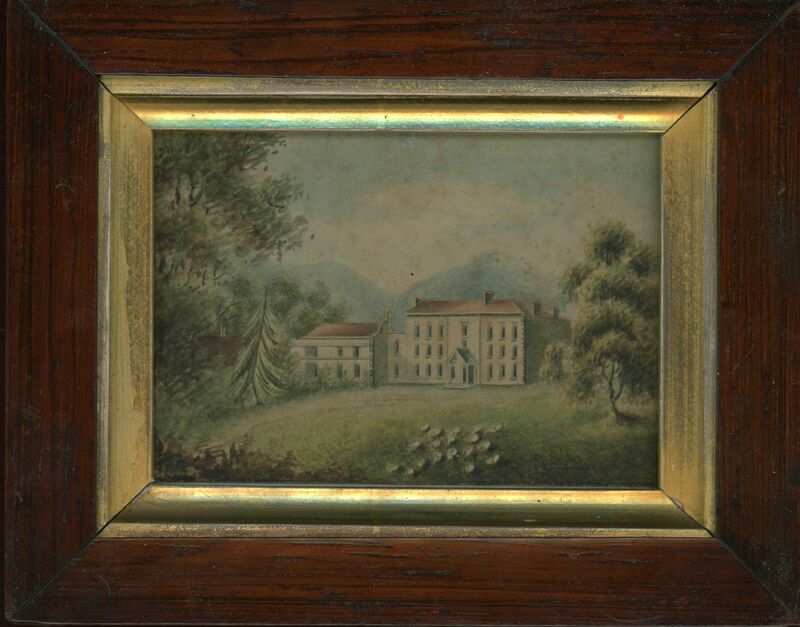 This miniature bucolic watercolour may well be the sole surviving image of the original family seat of Blackmore Park, a country estate near Malvern and home to the Hornyold family since the sixteenth century. The artist is Thomas Charles Hornyold (1791-1859) who inherited the estate at the age of twenty-three. Despite initially getting into severe debt and having to sell off large portions of the estate, Thomas was well liked by his tenants and was dubbed ‘The Old Squire’. According to his obituary, “his bonhomie, his heartiness, his cordial and kindly manner, made every one feel at his ease, and gained for him the attachment and esteem of his acquaintance, his tenants, and the poor” and indeed was “a model for English country gentlemen”. 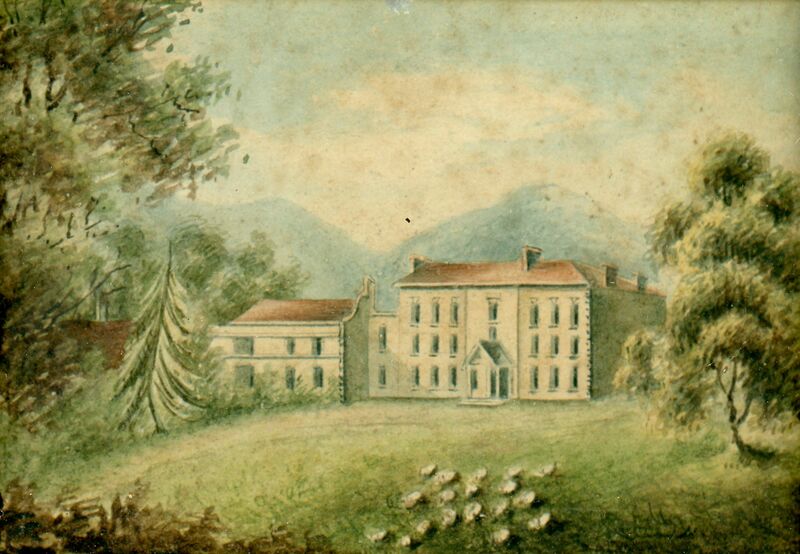 Despite being married twice, Thomas had no direct heir so Blackmore Park passed to a nephew who demolished the house in 1867 and replaced it with a new Jacobean style mansion. 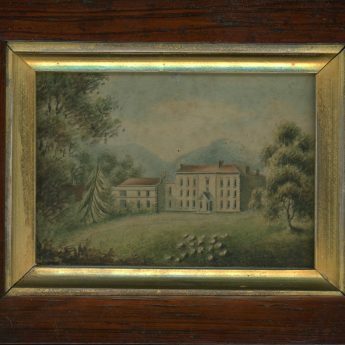 The watercolour resides in a period rosewood frame with a gilt slip. 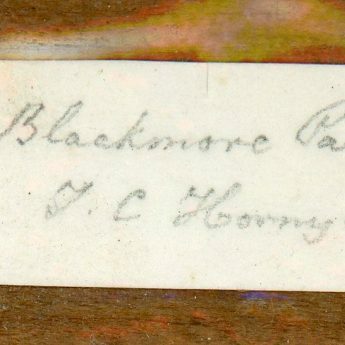 A clipped signature is attached to the backing board.